The Greek Mountain introduces premium loose leaf herbal teas, grown sustainably above 1300m on the wild rocky landscapes of Mt. Olympus. This lovely Shepherd’s Tea is hand picked, air-dried and packed by hand. A true Greek favourite with a gentle herby citrus flavour and hints of pine. 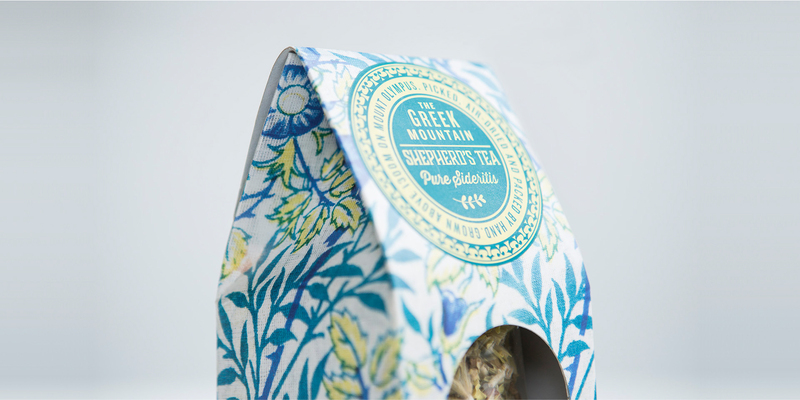 Positivity was asked to simply go wild and design a gorgeous pack that articulates Greek passion and values. The Greek Mountain searched for the best growers and asked flavour experts to test their blends. Now they are able to share its natural and superior quality tea and signature blends with you.